WELCOME ABOARD OUR HYBRID GREENLINE 39! 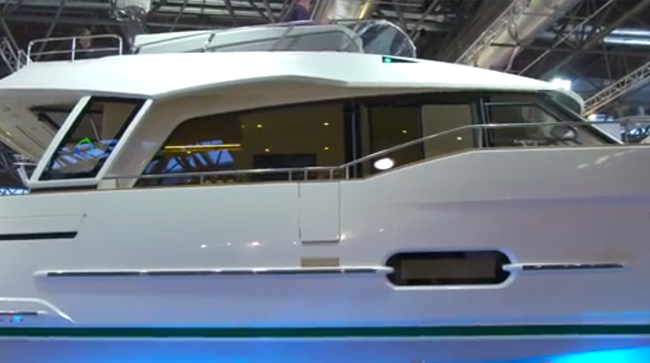 The Greenline 39 once again completely redefines modern boating. The most efficient combination of a hybrid Volvo diesel power, a solar power array, and an 11.5 KW lithium polymer battery bank. This technology gives you the freedom of continuous off the grid and out on the water roaming without limiting you to repeated, time-consuming charging of your boat at the marina. 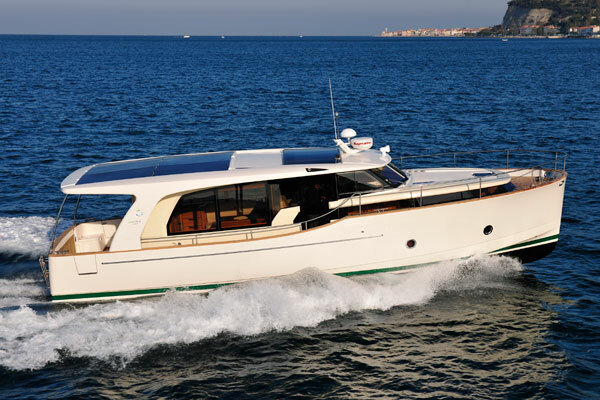 HOW IT WORKS The Greenline’s unique power system comes from a collaboration with Volvo and Mahle and incorporates an integral inline electric motor/generator with a 5-cylinder 220hp Volvo diesel that ranges easily between 10 and 18 knots. From its conception by J&J Design, the Greenline 39 was created as a super displacement, low drag hybrid hull to offer unparalleled efficiency on the water (over 3 nautical miles per gallon at 7.5 knots). 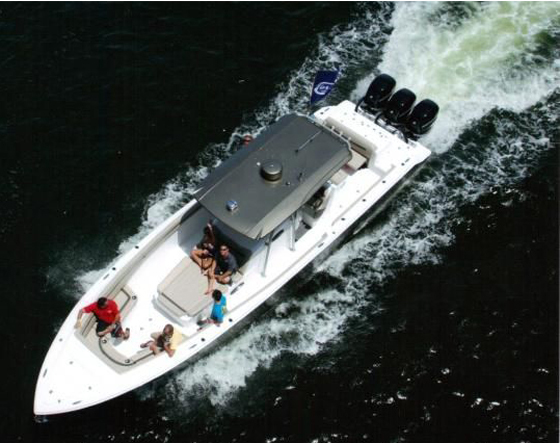 In diesel mode, the boat is supplied with constant 230 volts and 120-volt power so you’ll always reach a fully charged battery. The rooftop solar panels are consistently charging, being another feature allowing you the freedom of continuous open waters. You can cruise at slower speeds in electric mode with the luxury of no engine noise or exhaust. In electric mode, the 39 has a range of approximately 20 miles. When you put all these features together, you are presented the Greenline 39 with the most technologically advanced and environmentally responsible yacht available today. Certified as Offshore classification B and managing winds up to 40 knots and waves up to 13 feet, the Greenline 39 will keep you comfortable, safe and happy on both inshore and offshore waters. ONBOARD The moment you step onboard the Greenline 39, you will feel at home in the spacious and light ambience of the inside. The key features of the Greenline's design are all there. 360° panoramic view allowed by the one-piece windshield. The aft galley that becomes a cockpit and also transforms into a bar as part of the entertainment features. 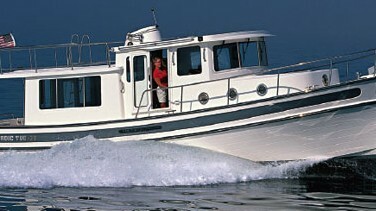 The electric fold-down 'beach club' transom. This all comes together to create one of the most sociable and relaxing boats on the water today. Step on board the Greenline 39 and discover a new sense of freedom and an environmentally safe sense of luxury. 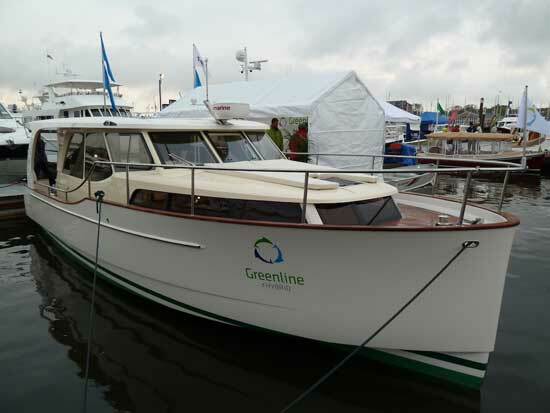 GET YOURS TODAY The Greenline 39 is available for immediate delivery to the Lower Mainland. 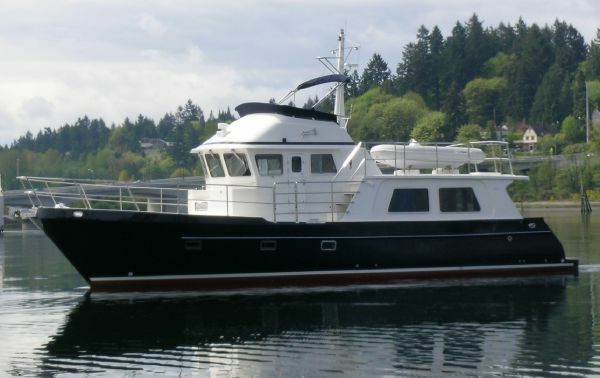 She has a walnut interior and is fully equipped with all the modern characteristics one would jump at such as bow and stern thrusters, reverse cycle air conditioning, diesel heaters, induction cooking, a free-standing refrigerator with a separate freezer, and a full display of the latest Garmin touch screen navigation electronics. Contact us at SV Business Group for more information on the most environmentally friendly luxury there is on the water today. Communication pack (Raymarine Ray52 + Glomex VHF antena). Fold up rear window with leaf counter extension to cockpit for serving bar. Tempered mirror glass sliding rear salon door. Electric fold down transom platform -"beach club"
Walnut interior - veneer panels with solid trim. Mirror package one 1,6m x 40cm mirror inside each cabin door.